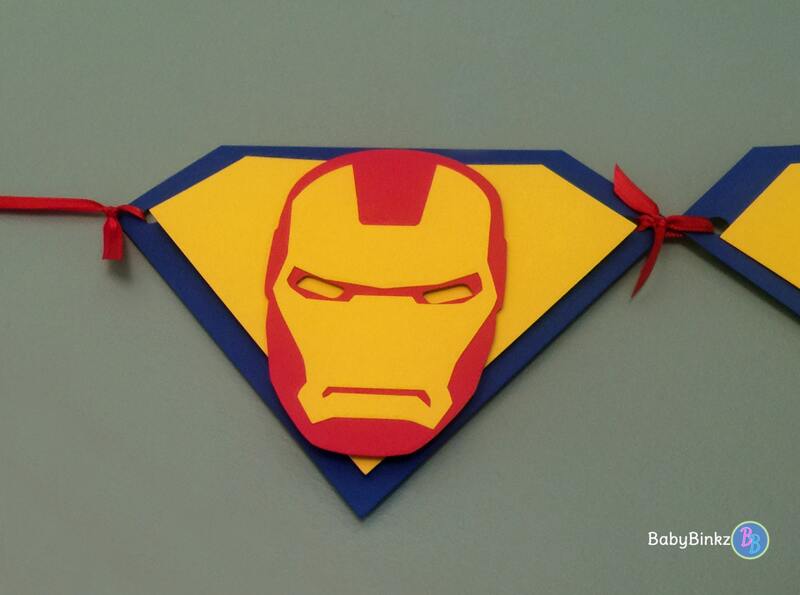 BabyBinkz Personalized Super Hero Inspired Pennant Party Banner with Die Cut Super Hero Logos is the perfect addition to any Super Hero themed party! This listing is for one banner constructed from three / four layers of heavy weight card stock. 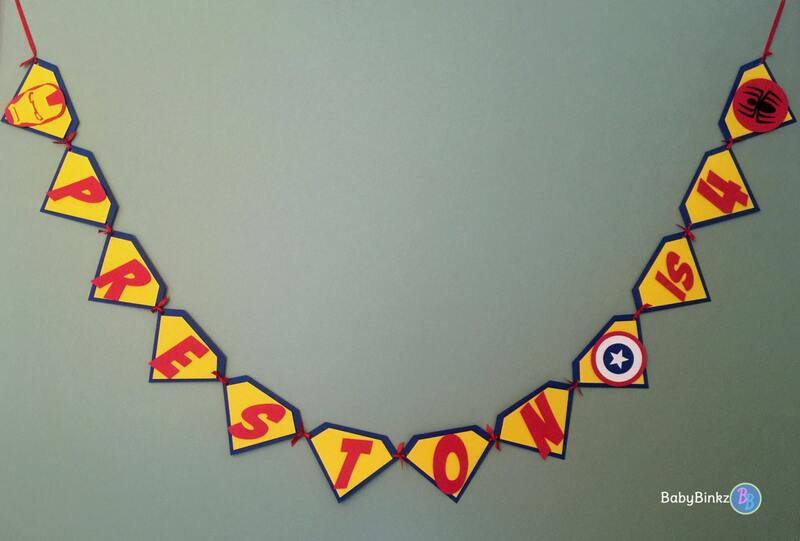 Each outer pennant measures 6.5" wide with an interior mounted pennant layer; letter graphics and layered super hero logos are mounted to add dimension. The banner will come strung on 1/4" coordinating ribbon and arrive ready to be hung! 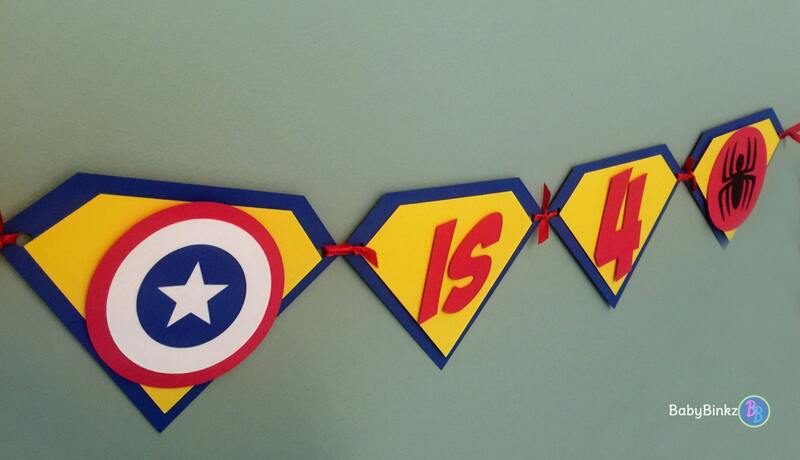 Be sure to leave the super hero's name & age at checkout! Looking for different colors or different super hero logos? Coordinating decorations? Contact us for a custom listing!